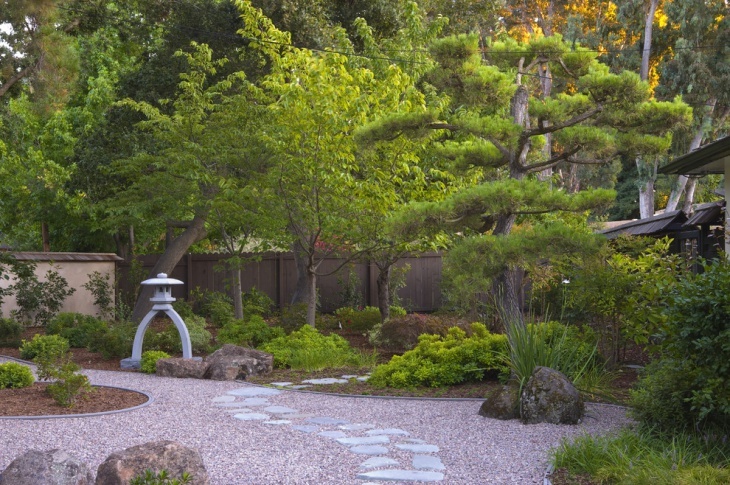 Have you always admired how the Japanese created and maintained the perfect garden space in their backyards? 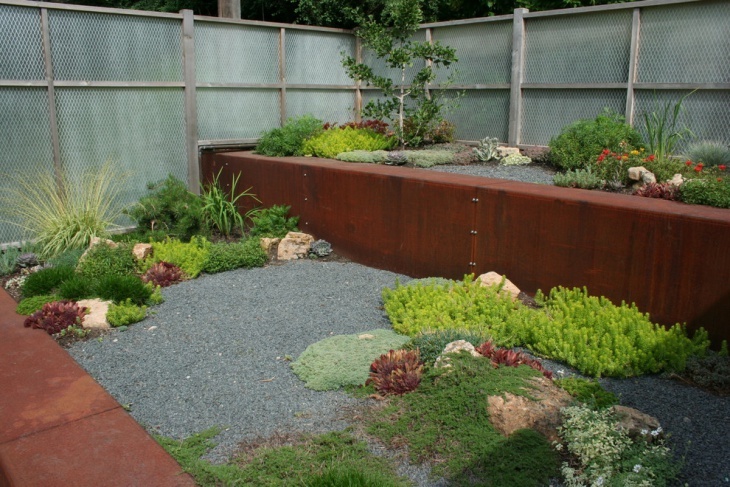 Popularly known as Zen Gardens, these gardens could range anything from a sweeping landscape comprising several acres to tiny desktop gardens that shouldn’t expand much beyond a table space! The best thing about s Zen garden is that they are easy to create and can be a regular interesting DIY project for the entire family! Here are some ideas on how to go about it. 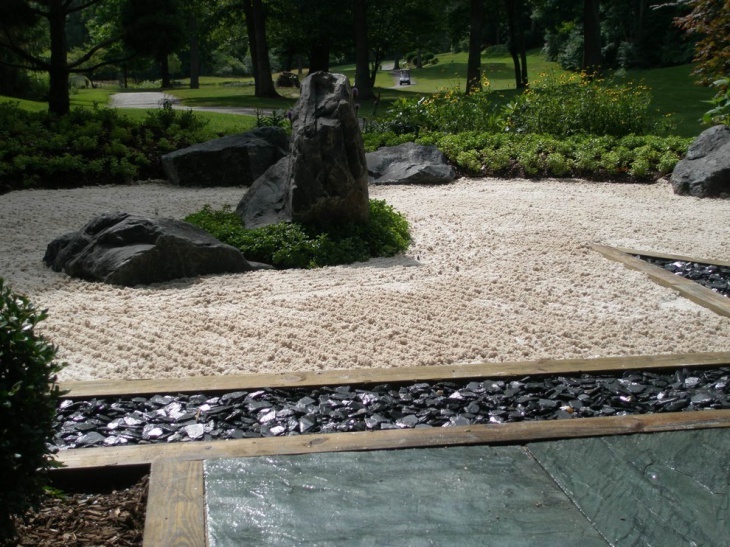 A Zen Garden doesn’t require much of a curation. Whatever scheme of garden / backyard landscaping you may have, all you need to do is choose exotic types of plants, in several colors and textures to mark the pathway. 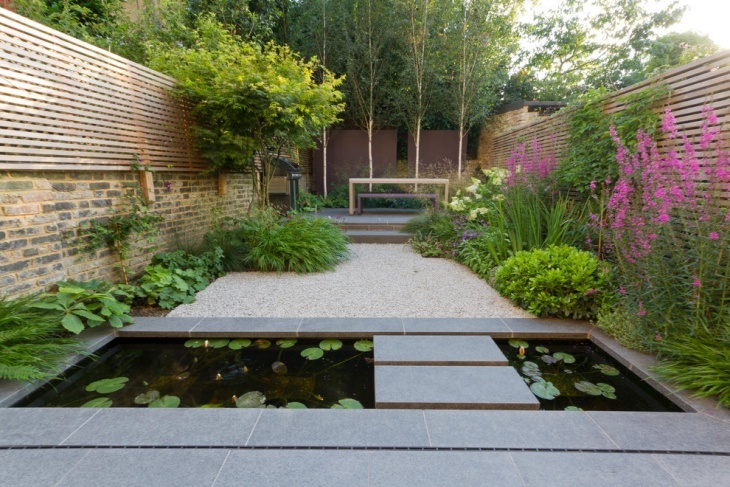 This example also shows how you can creatively establish a water space in the middle of the garden. 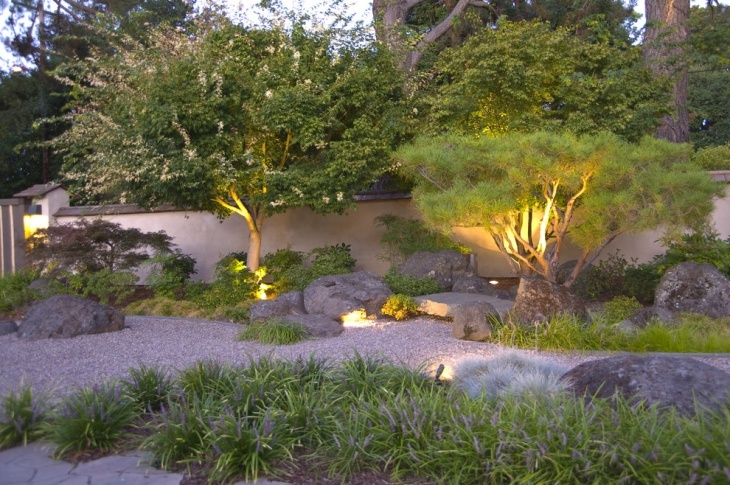 As opposed to other traditional garden landscaping, Zen Gardens don’t require too much foliage. You will just need to bring in interesting colors using natural materials. It could be colorful flowering plants or wooden planks for your fencing. 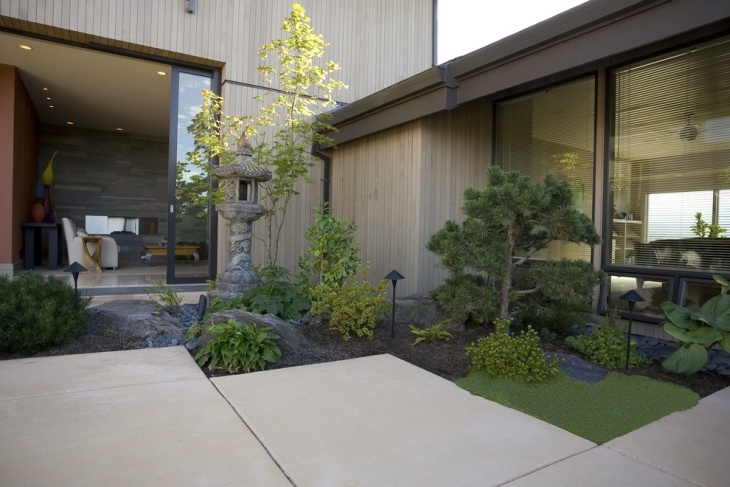 A contemporary Zen Garden is all about basic landscaping. 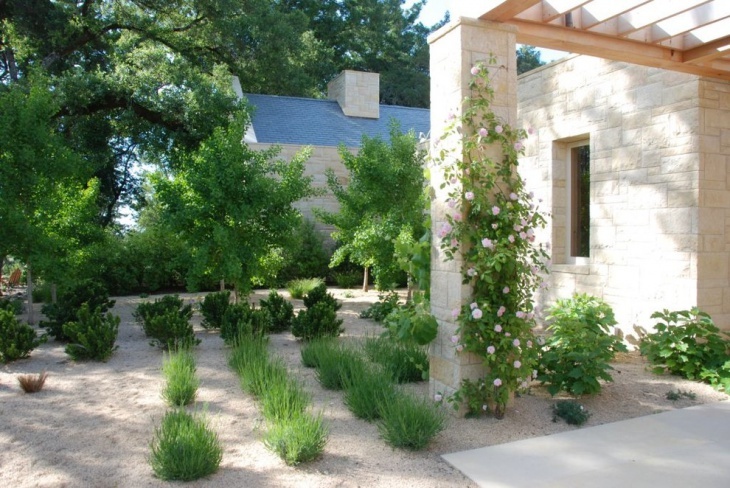 You can create interesting pathways using tiles, gravels, sand, wooden planks, lawn grass and decorative/flowering plants. 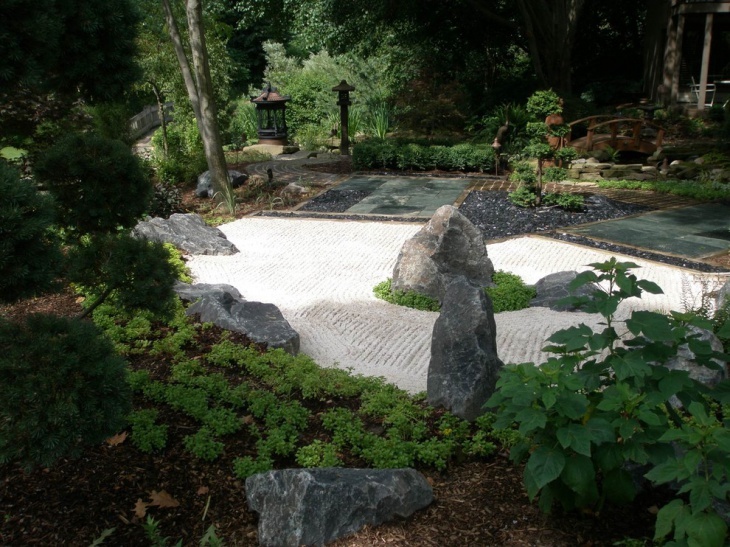 A Zen Garden already gives you an interestingly patterned landscape. You can choose to spruce it up after dark by using ambient LED lighting. 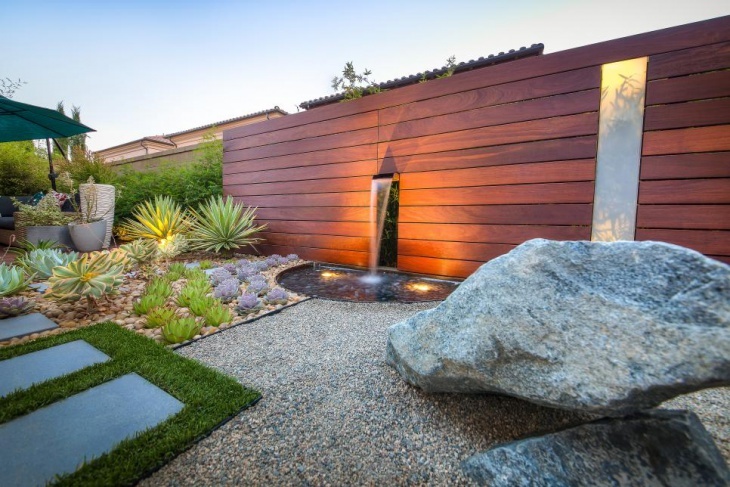 In this example, the artificial water body in the pathway brings forth a highly romantic ambiance. 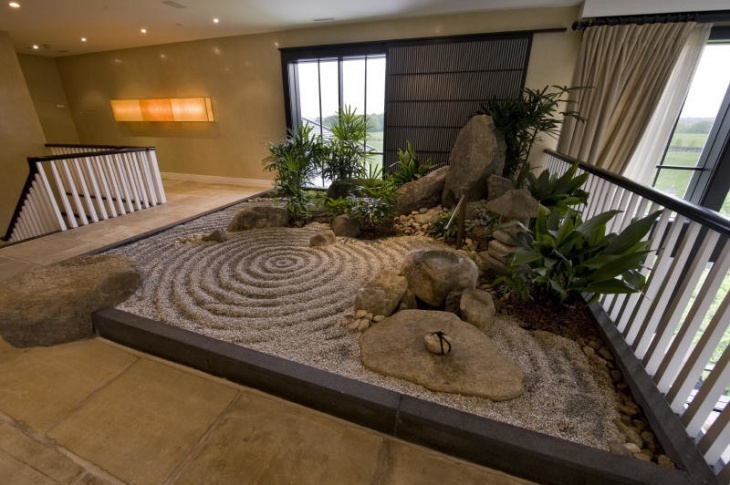 Zen gardens, popular in Asian resorts, are all about using natural materials to create an interesting garden layout. It’s not about plants but using naturally available raw materials, ranging from stones to rustic bamboo planks. 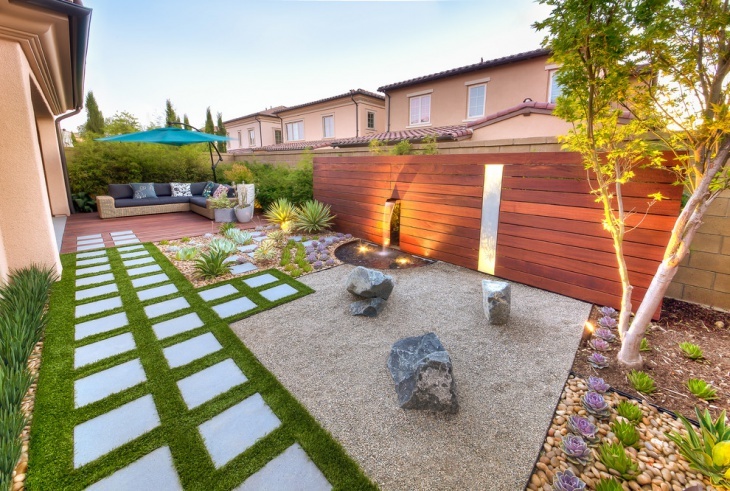 A Zen Garden can do particularly well with the inclusion of rocks into the scene; it could be a simplistic, artificial looking outdoor décor as shown in the example or a more natural looking environment with rocks, waterfalls and a really rusty setting. Japanese love outdoor art and garden landscaping. 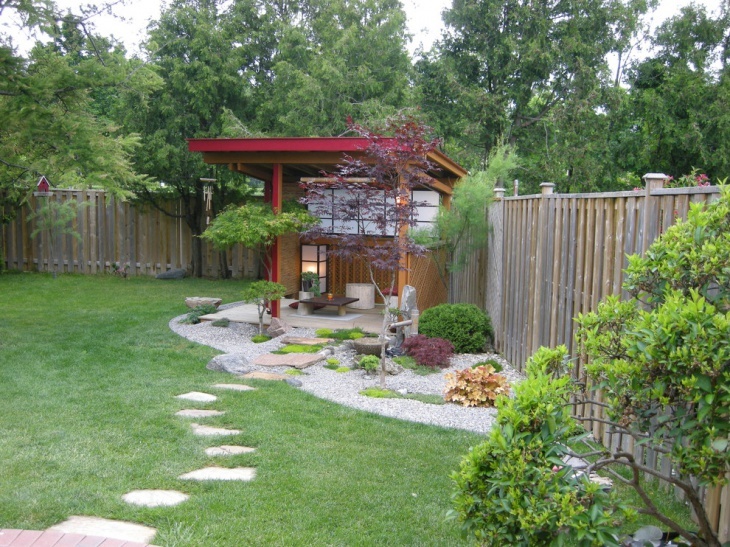 This example shows how beautifully and well maintained a backyard space can be. 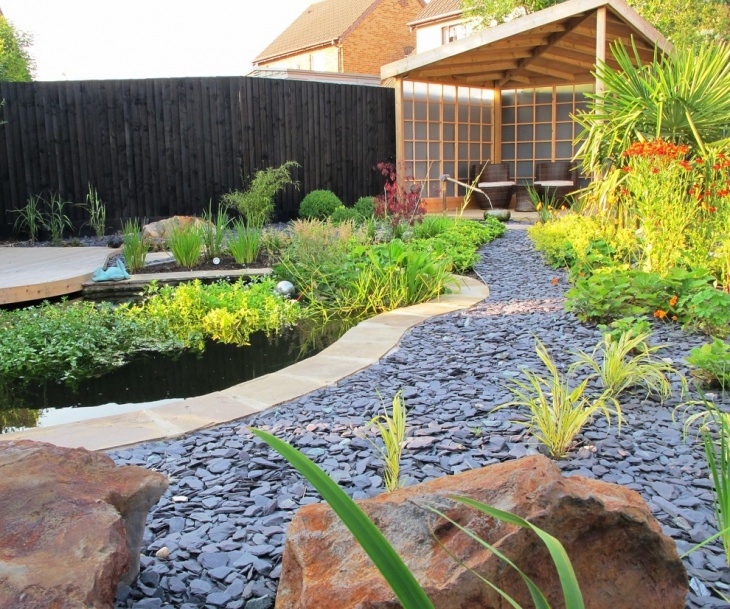 There isn’t a lot of foliage inside the garden but it is the natural inclusions like rocks and pebbles that make the space interesting. In this example, we see how even a small corner of the backyard can turn the whole outdoors into an interesting setting. All they have established is a unique rock (that can also be used for lighting up the space after dark) and some interesting and well trimmed decorative plants. 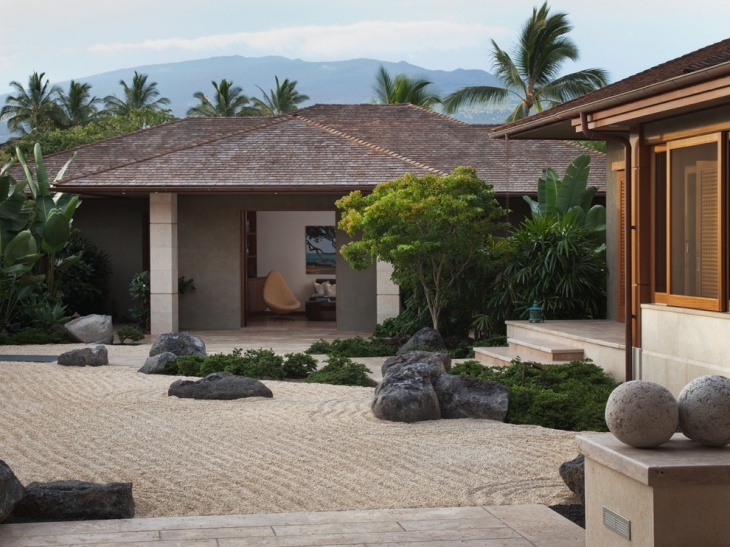 Again, the Zen Garden here is all about the rocks, pebbles and a patterned layout. The artificial water body in the middle does make an interesting statement. You can even choose to keep some gold fishes in there to add life to the setting! 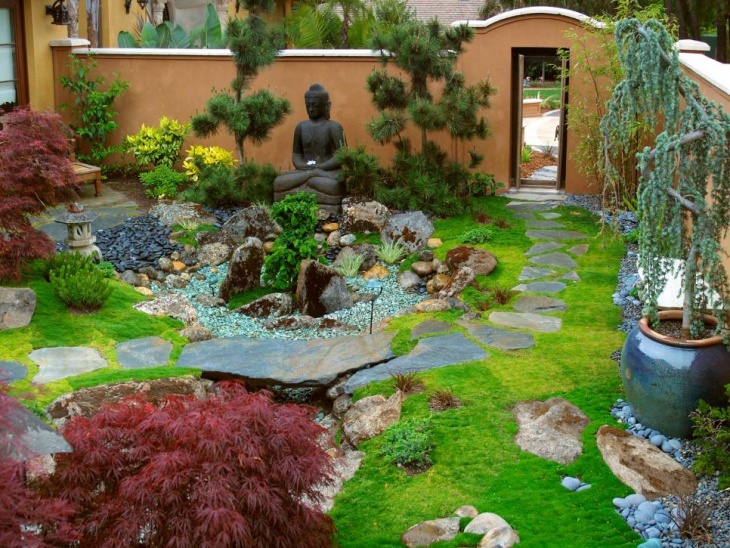 A transitional Zen garden, as depicted here, requires more landscaping than the usual. 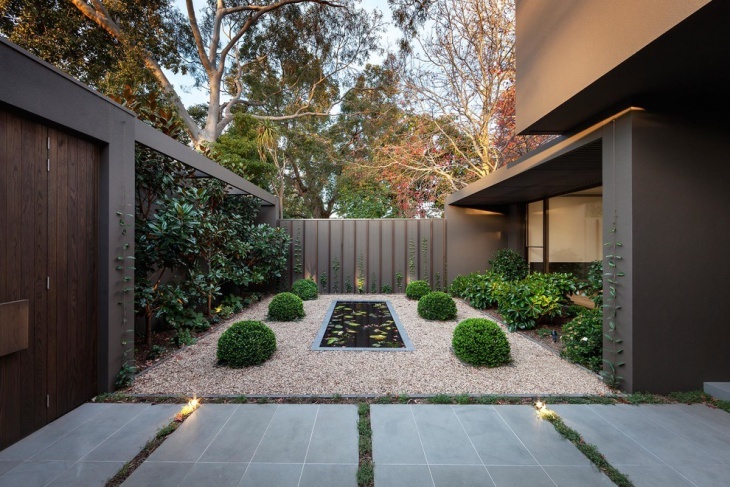 Inlaid with rocks, a range of plants and bushes and interesting additions like the Buddha and the lampshade, this will transform your backyard into an expressive setting. 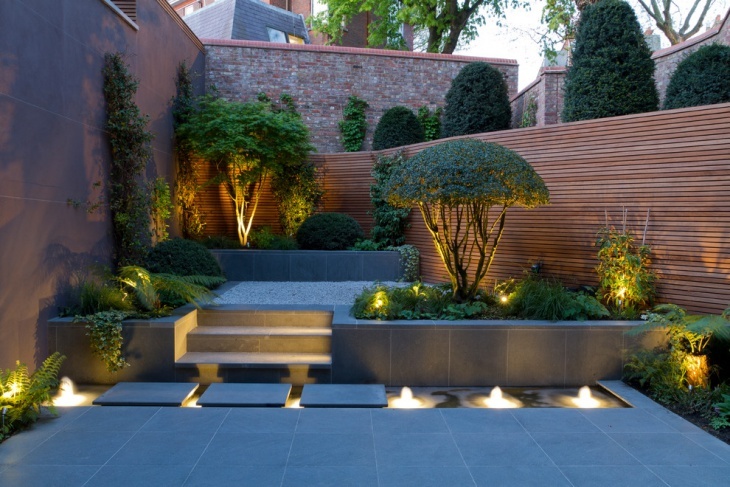 You can even choose to have a small waterfall arranged artificially around the rocks in the middle of the garden to add life to the space. 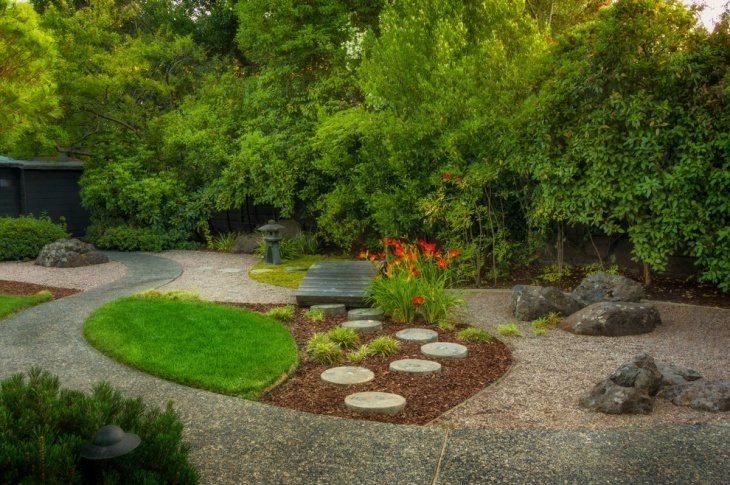 A Zen Garden is easy to the eyes and is a perfect setting to spend your weekends and retirement days. Sprucing it up will depend on the time you choose to devote to it. The opportunities are limitless. From pebble gardens to rustic brick walls garden, everything counts as long as you keep it cozy and private.